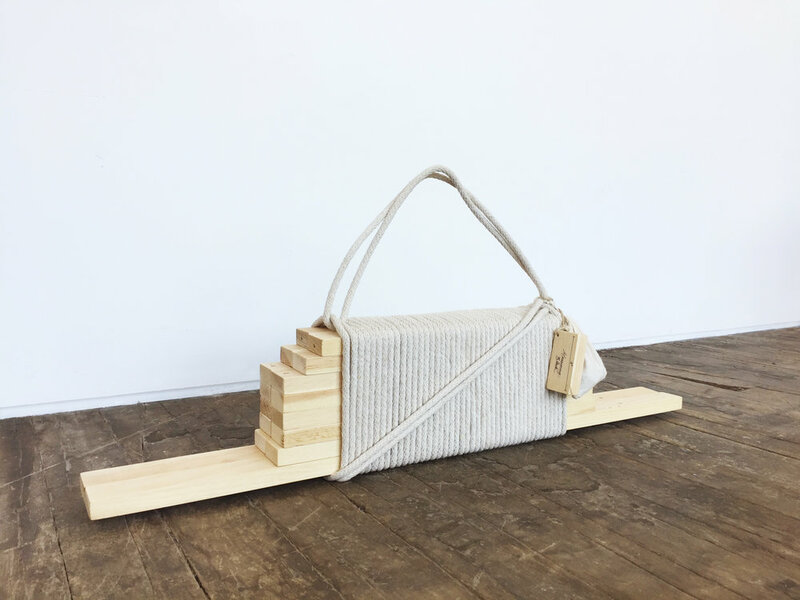 HANDS TO WORK is a project developed by Hannah Vaughan Studio to encourage people to make their own everyday objects. 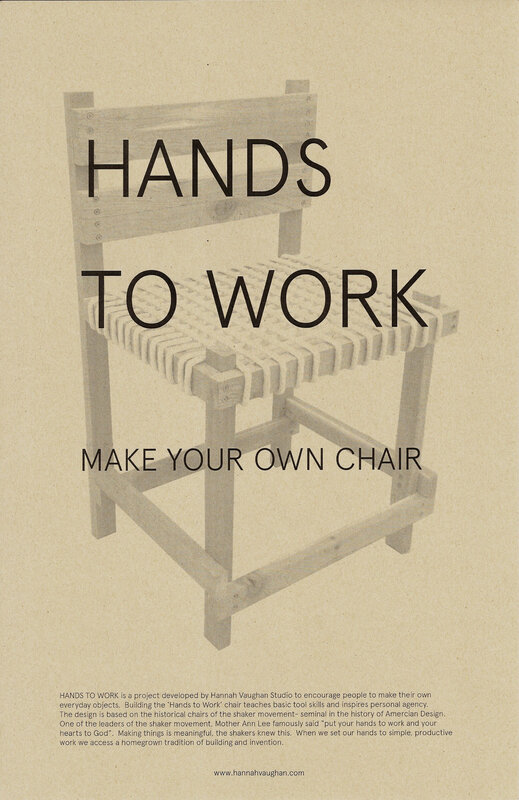 Building the hands to work chair teaches basic tool skills and encourages personal agency. This design was developed based on the historical chairs of the Shaker movement, seminal in the history of America Design. One of the leaders of the shaker movement, Mother Ann Lee famously said “puts your hands to work and your hearts to God.” Making things is meaningful, the shakers knew this. When we set out hands to simple and meaningful work we access a meaningful homegrown tradition of invention and hardwork.